The biggest motorcycle drag race of the year, the Man Cup Finals from South Georgia Motorsports Park, once again lived up to its billing. It was one of the most impressive turnouts in the history of the sport. The weather was outstanding and several record performances were witnessed. Frankie Stotz ran the quickest Pro Street run ever at 6.60 and he did it four times! 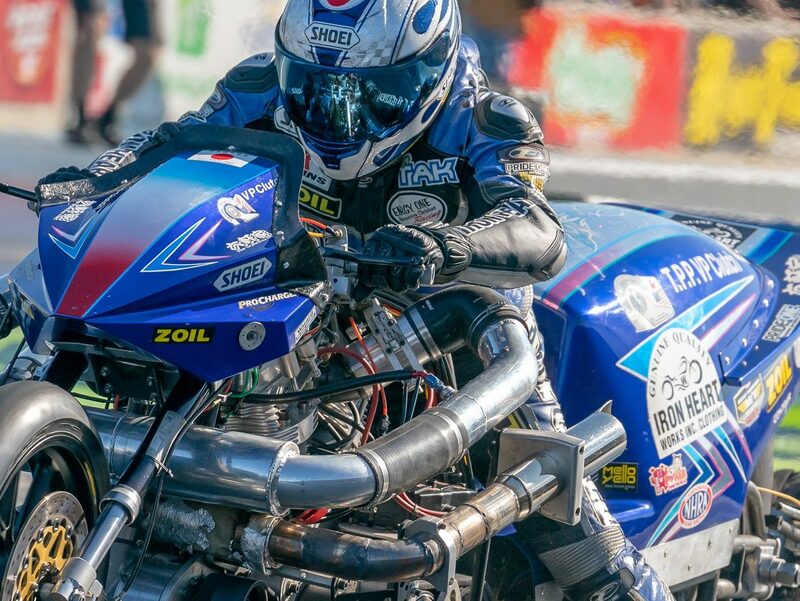 Takeshi Shigematsu went 6.06 on his supercharged Nitro Harley, Terry Schweigert ran 6.19 on one of the very first passes for his modern day Funny Bike and Larry McBride locked up his 19th championship. The international turnout was again impressive, perhaps the best ever for the sport. Enjoy and please share some videos and photos from the event. More will be coming. Pro Mod and Pro Open Round No. 1, Schweigert Goes 6.19 on Turbo! Terry Schweigert is up for run of the event, recording a 6.19 during one of this new turbo bikes first full passes! Frankie Stotz ran a new world record in Pro Street at 6.60 and he did it four times! A scary moment for this female rider. Fortunately she was not seriously injured! Team Aruba had a great showing. They shipped 16 motorcycles to the race and displayed incredible team spirit. A great job by these guys, Nelson Hoyos of SGMP and Michael Poole of Gainesville Raceway who helped out in the tower. These two have decades of experience. A rough day at the office. This looks more like flat track racing. Fortunately the rider was ok.